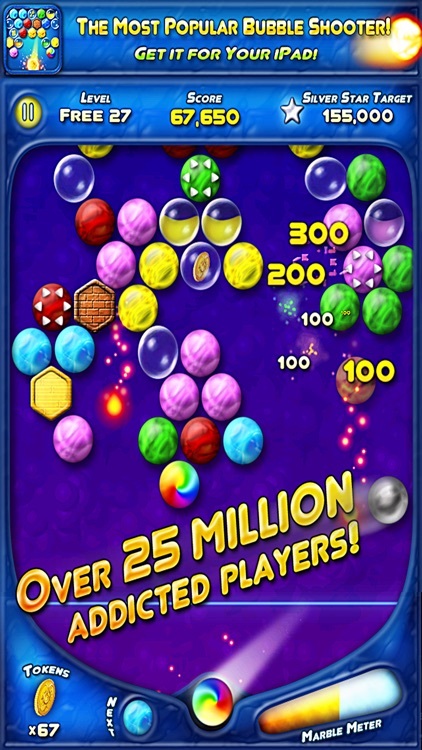 Over 25 million people around the world are playing this original arcade bubble shooter! Thank you all for your support! 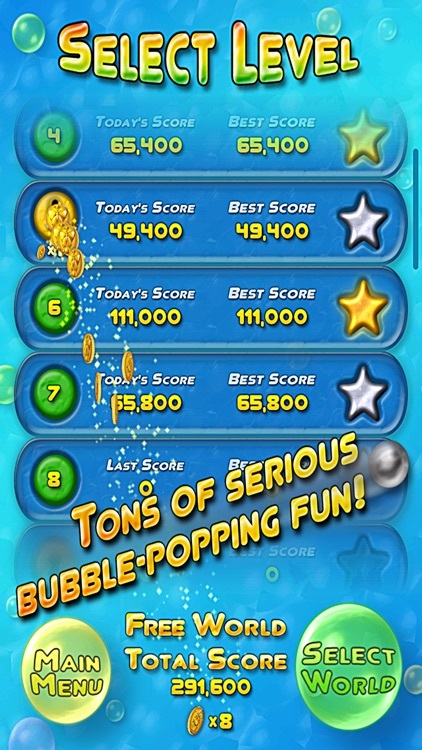 Bubble Bust! 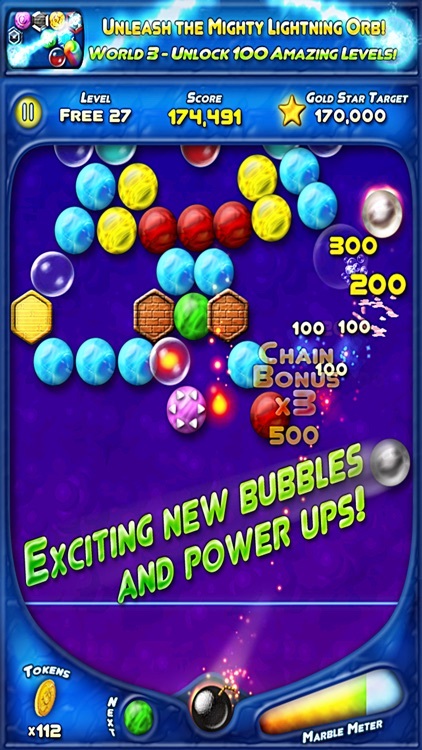 Free is an amazing bubble-shooter game featuring addictive gameplay and many exciting new bubbles and power ups! The game is easy to play - clear the marbles and bust the hidden key bubble - yet amazingly fun and challenging! 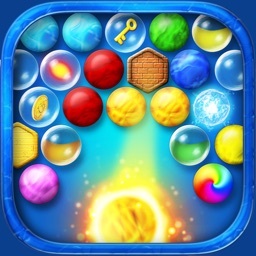 Your goal is to clear the marbles and bust the hidden key bubble. Clear the marbles by making groups of the same color. Groups of three or more marbles of the same color will fall down. 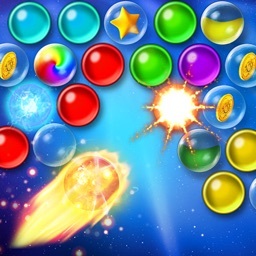 If the marbles cross the glowing line at the bottom of the screen, the game is over. 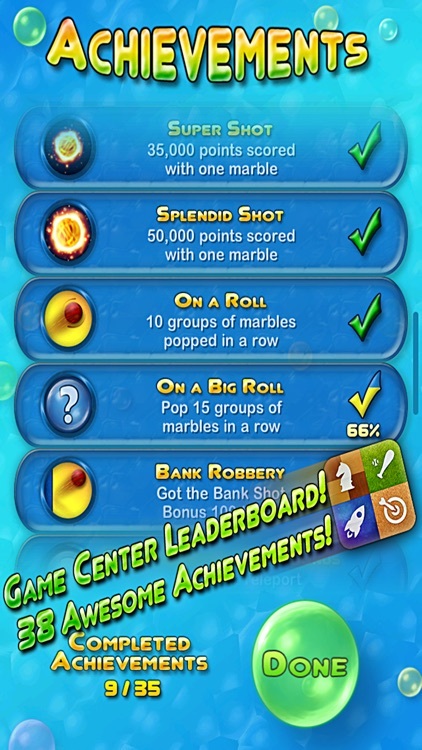 Simply tap a marble on the game board, or an empty spot close to it, to fire a marble towards that spot. 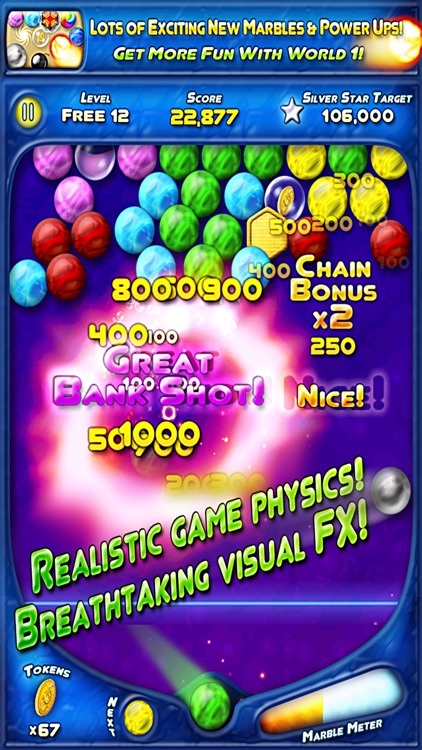 To fine tune your shot, slide your finger left and right anywhere on the screen to first set the direction, then release your finger to launch the marble. 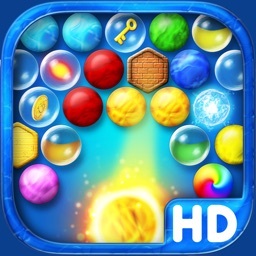 Please support us by rating and reviewing the game. 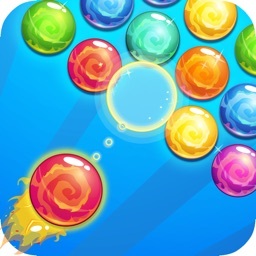 Similar Apps to Bubble Bust!